Home Automate is a home automation business which focuses on residential properties but offers the ability for application into commercial facilities. They specialise in integrating smart technology into their client&apos;s projects including heating, lighting, entertainment and security. The website was the businesses ability to be discovered online and also the ability to offer online support to existing clients. 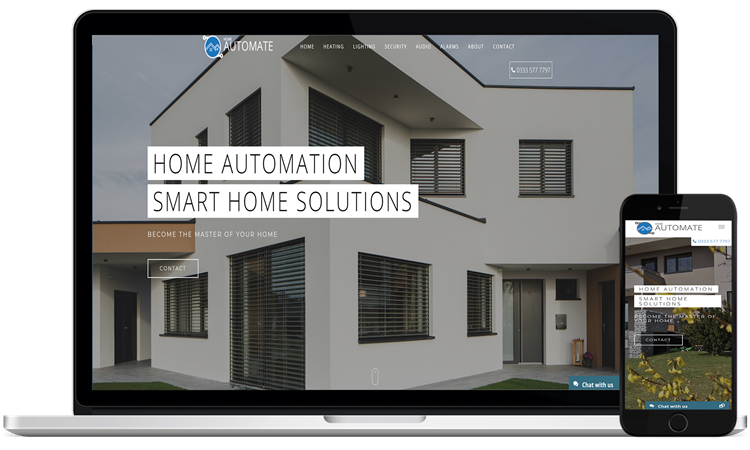 Home Automate proposed the development of a brand new website for their new business venture into home automation development and the integration of smart technologies into homes. Home Automate request a flexible web design which they would be able to extend their portfolio following the expansion of their business. With the industry still in early phases, both teams worked together to identify the key features to include and developed a design which matched a futuristic experience similar to smart technology. The design had to incorporate a large volume of graphics to showcase the client&apos;s portfolio and also extensive services.